I grew up in church but faith wasn’t a big part of my life when I met my husband and he didn’t have any faith background at all. Now that I have a renewed interest in being a Christian and living that out, his lack of interest in spiritual matters is a problem. He doesn’t care if I attend church but refuses to come with me and it’s really creating distance between us. Any suggestions? Welcome (back) to the family! It’s inspiring to hear that you are experiencing a season of growth and renewal in your faith and I commend you for that. > For starters, we would all like to think that religion is just one of those things that is fairly static and set when we marry our partners, and when this changes mid-marriage, it can rock our worlds. > Not being able to share our spiritual growth and motivations can take away from a strong lack of intimacy and sharing. > Conflicts about how weekends will be spent or how you will raise your children can feel impossible to solve and take a toll. > Finally, not seeing through the same spiritual lens means that you will sometimes have different priorities (including those related to time, morality, and money) and an entirely divergent worldview. This is the camp you fall into, and I can only encourage you to focus on your own faith journey and try to take your mind off of his because any efforts to win him over may backfire if he feels nagged. “If a woman has a husband who is not a believer and he is willing to live with her, she should not divorce him. For the unbelieving husband has been sanctified through his wife, and the unbelieving wife through her believing husband. How do you know, wife, whether you will save your husband? Or, how do you know, husband, whether you will save your wife?” (1 Cor. 7: 13-14, 16). Right now, as you grow in your faith, surround yourselves with other women who can encourage you, speak into your life, and share their own stories. Many of them will have been where you are now and will have wisdom to share. Continue inviting your husband to join you – – occasionally for church, to attend a special event, or during prayer before bed. And definitely keep praying for him. As you go, beware of the tendency to allow his disinterest to rub off on you. Remain consistent in your quiet time, prayer, and small group or church attendance and make these things a priority. As he witnesses your newfound joy and peace in Christ, he may follow your lead. Mike and I are both dedicated Jesus-followers, but not even we are at the same place in our faith at the same time. There are seasons where he is more involved or enthusiastic and others where I am more heavily invested. Even when we don’t agree on details, we share the same set of core beliefs and enjoy worshiping and praying together. It’s an entirely different matter when your life partner has chosen another religion altogether and you don’t worship or pray in the same way or in the same place. The good news about this circumstance is that your partner probably understands how important your chosen faith is to you and will not attempt to convert you if you likewise respect his/her chosen religion. As a Christian, however, we are always called to give a testimony to others so the above verse also applies to you. 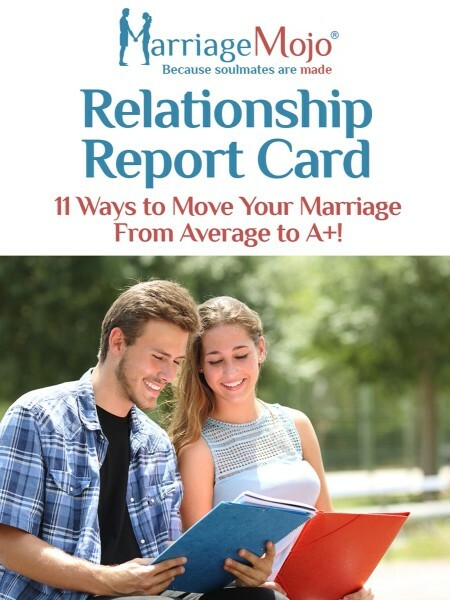 Through your example, you may eventually be able to bring light and understanding to your husband and win him over. In the meantime, show a sense of curiosity about your partner’s religion. Ask questions about things you don’t know and wonder about. Be willing to attend each other’s places of worship on occasion and then discuss the experience. These conversations may lead to your being able to “give the reason for the hope within you” (1 Peter 3:15). This is a heartbreaking and tough thing to deal with, and there’s no one right answer for everyone. However, if you’re the one who is active in your faith, it’s worth pressing the issue so your children are raised the way you believe is best. This will require you to be sensitive to your spouse’s desires and perhaps calling in a third party like us to mediate your differences. Be careful that you don’t alienate your spouse while trying to co-parent your children. Remember that, at its core, faith is centered around a core set of beliefs, which can still be instilled in your children as they grow. While your husband doesn’t fall into this category, some spouses are adamant that their partners either remain in the faith they were when they married or revert to agnostic or atheist belief (if that was the common denominator). This is perhaps the most challenging scenario because following what you know to be right will be in direct opposition to your husband. In other words, perhaps the only thing more important that faithfulness to our spouses is faithfulness to God. But what does this really mean? Focus on what you can do. Perhaps you don’t feel God wants you to press the issue of attending church on a regular basis, but your husband can’t force you to stop praying or even to stop reading and learning more about God’s love for you. Make Christian friends and nurture your spiritual walk that way. If you see yourself in this description, I would encourage you to explore why your spouse feels so strongly about your personal pursuit of faith. Keep being respectful but clear, and revisit the issue when things are calm until you resolve it peaceably. While there are no easy answers and there is no formula that fits perfectly for every situation, I hope these thoughts are useful. Give us a call if we can help. Got a Marriage With Faith Differences? STAY OR GO? : What To Do When the Love is "Gone"